The BRWA is honoured to work with local landowners and program partners to help improve the health of our riparian areas across the Battle River and Sounding Creek watersheds. First, What are Riparian Areas? Riparian areas are the lands adjacent to a river or other water body where the plants and soils are strongly influenced by water. Riparian areas are hotspots for tourism and recreation. They are vital for agriculture as they help maintain a higher water table for crops, and provide forage, shelter, and water for livestock. They also help filter and store water, prevent erosion, and provide habitat for fish and wildlife. 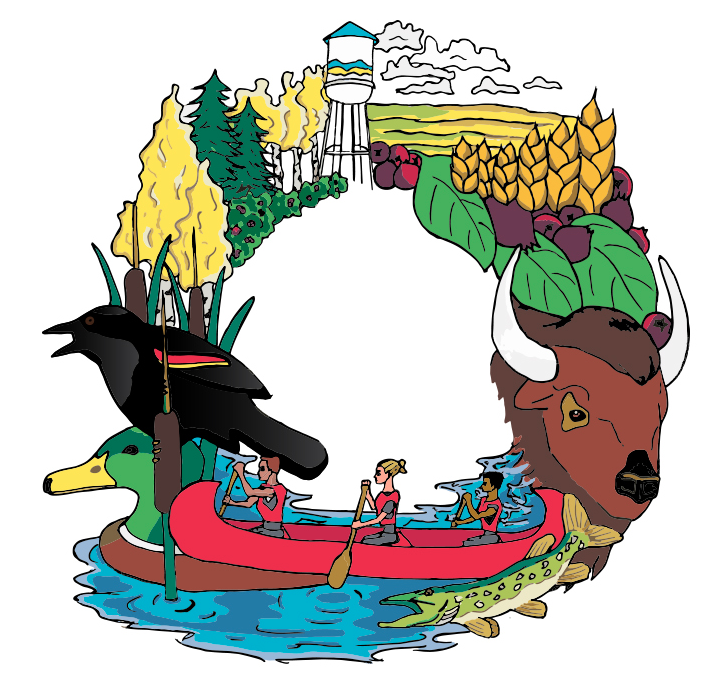 Mission: This program works with local landowners to implement on-the-ground projects that support the health of the Battle River and the many creeks and wetlands in the area. An important focus of the program will be to protect and improve the health of shorelines and streambanks. Funding is available to support landowner projects, which may include riparian fencing, installation of livestock watering systems, tree planting, riparian health inventories, and more. Where We Work: Buffalo Trail lies loosely around the Highway 41 corridor. In particular, we welcome participation from landowners in the MD of Wainwright, MD of Provost, County of Vermilion River, Flagstaff County, and County of Paintearth. The Ponoka Riparian Restoration Program wrapped up in spring 2018. We worked with a number of landowners in the Ponoka area and provided funding for projects that are helping to improve the health of the Battle River and several local creeks and wetlands. Landowner projects included 20 riparian health inventories, 11 km of riparian fencing, 11 livestock watering systems, and over 10,000 trees planted. The Ferry Point Riparian Restoration Program worked with landowners along the Battle River south of the Dried Meat Lake weir at highway 56 within Camrose County. See our Ferry Point Reach Report, PDF for details on the program and completed projects.